The Neurochemistry Core is a Vanderbilt University Shared Resource supported by the Vanderbilt Brain Institute and the Vanderbilt Kennedy Center. The Neurochemistry Core was established in 1999 to serve as a central location on campus for the quantification of monoamine neurotransmitters using HPLC with electrochemical detection (ECD). The Core now serves investigators worldwide, measuring a variety of small molecule neurotransmitters using ECD as well as advanced mass spectrometric techniques. Please see below for a detailed description of offered services. 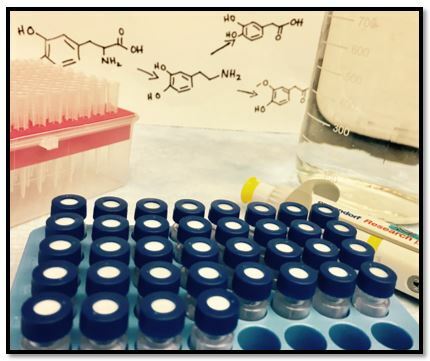 If you are seeking to measure a neurotransmitter or related compound that is not listed, please contact the Core to discuss. We look forward to working with your lab!